For a marketing agency, using Linkedin could very well be the most profitable social media tool that you use. Most marketers think of Linkedin as another tool to drive traffic to their blog like Twitter or Facebook or Google +. And to some degree, it is. However, the most profitable and effective way to use Linkedin, and probably the most forgotten, is to use the phone to call connections. Before I get into a script for you to follow, let me tell you why this works. Unlike Facebook where people want to connect with their friends, and unlike Twitter, where people are usually looking for cool stuff to share, Linkedin’s audience is looking to make business connections. People on Linkedin are looking for consultants, looking to hire employees, and looking for customers. And that mindset is to your advantage. But let me give you a word of caution. It is very easy to spam your connections with this tactic. You must, at all times, have the best interest of your connections in mind, and not sell them a single thing until the moment feels right. The first thing that you need to do is send them an email to get them on the phone. This isn’t a typical email where you try to make a sales pitch. Remember, you are just making an introduction. I try to make an effort to get in touch with all of my Linkedin connections on the phone if possible. It seems like we have some overlapping interests and can help each other out. Are you free for 10 minutes this week? Typically, I get a 20% response rate with an email like this. Below is a phone script for you to follow as a guideline along with the thought process behind each segment. Remember to be respectful of their time, focus on their business, and be helpful. Hey ___, it’s a pleasure to finally get in touch with you. How are you doing today? And really listen to their response. Most of the time, the person is going to say “Good” or “Alright.” But sometimes the tone of their voice might reveal exhaustion or frustration or excitement. Make sure you pick up on that. After they tell you how they are doing, get them to talk about their business. I see that you guys have recently done/built/sold ____. I absolutely love that. How did you come up with that idea? Again, truly listen to what they have to say. They are going to be thrilled to be talking about their business and can do it all day long. Let them talk. Congratulations. So what’s the coolest thing that you guys got going on right now? 9 times out of 10, the coolest thing that they got going on right now is about their product or service. Either they are building a new product, introducing an existing product into a new market, going after a big customer. And this is where you get to shine. The prospect will probably have not thought about what you are proposing, and will want to know more. Listen, I’ve taken up a lot of your time already. Why don’t I do this? I’ll put together a one page document on how you can do what I’m suggesting. Why don’t we schedule 30 minutes next week so that we can sit down and I can show you exactly how to do this? The biggest mistake that you can make is to try to sell your services during this 10 minute call. All you really want to do is talk about their business, and offer to help them with no strings attached. In order to get someone to hire you, they first need to get to know you, then they have to like you, and then they have to trust you. Right now, you are in the “get to know you” phase. Notice that during the phone conversation, you didn’t speak much about your business? That’s because you will have plenty of opportunity to do so during your 30 minute call. Not every call is going to turn into a new client. But, if you keep an open mind, every call can be productive. Because of these calls, I’ve been invited to write guest posts, speak at events, joint venture, invited to lunch with their friends, etc. And the best part is, you don’t need hundred’s of connection. Just a small group of the right connections. 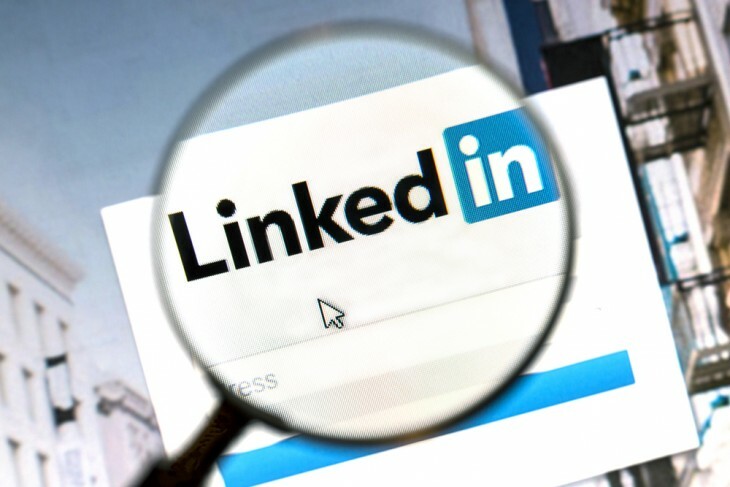 The post Discover Some New Ways to Get Clients with LinkedIn That You aren’t Using appeared first on Real Estate SEO Backlinks.